The Cal Triathlon team is opening up their program to all athletes. interested, please help spread the word. always held to the belief that triathlon is for anyone and everyone. •	Be part of the best collegiate team in the nation. •	Stay active. Stay Healthy. •	Challenge your limits in relay races or full triathlons. as your heart and body desires. All abilities are welcome. or e-mail cat@caltriathlon.com ! See you on Monday! the support of such a prominent non-profit organization. 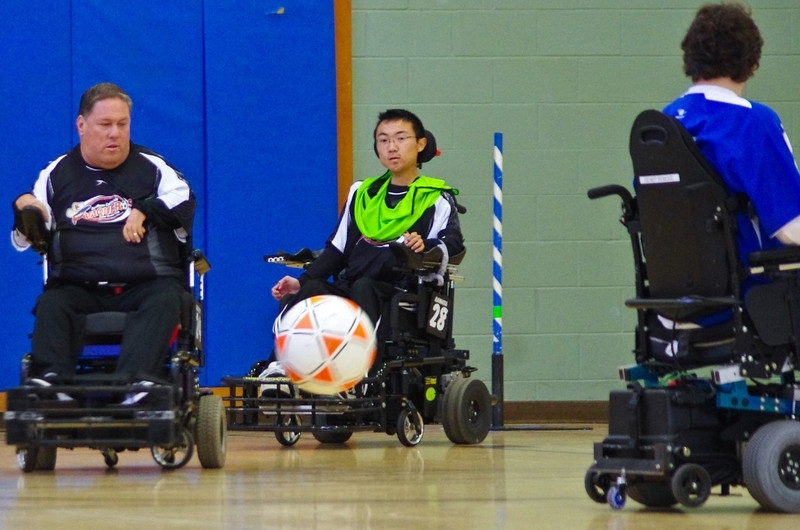 The BORP Bay Earthquakes hosted the SoCal Vaqueros and Hollister Free Wheelers at the James Kenney Recreation Center on Saturday, January 26 for four action-packed contests. The three teams all showed that they are capable of tremendous team play as well as individual brilliance. The Earthquakes tinkered throughout the day to find an effective attack and finish and finally found their mojo in the 2nd half of the final game. Down 3-0 at halftime to SoCal, the Earthquakes broke through with a goal 3 minutes into the 2nd half, scored again 6 minutes later and came up with the equalizer in stoppage time to earn a nerve-wracking 3-3 tie. John Madigan (2 goals) and Brian Larson (1 goal) turned three Brandon Johnson passes into scoreboard gold and Margaret Mele and Lateef McLeod shared the goalkeeping honors. 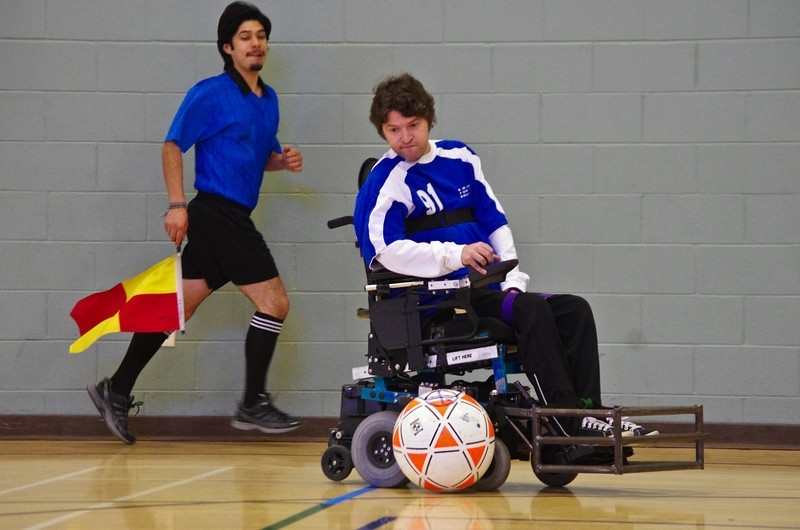 March 9: BORP Bay Earthquakes and Crushers host San Jose Rockets and Hollister Free Wheelers. Thanks to Diane, Kendra, Margaret, Chris, Solange, malia, and everyone who contributed to the delicious lunch, dinner, snacks and beverages. Thanks to the score table volunteers and the officials: Sheila, Marc, Dan, Saul, Michael, John and Alfonso for helping the competition run smoothly and efficiently. Thanks to the teams (players, coaches, staff) for the wonderful play and sportsmanship. Thanks to Todd Kerr from the Berkeley Times for his support and keep your eye out for an article about today’s competition soon. Thanks to Santiago and Senda Athletics for the new balls and ball bag (best power soccer ball on the planet!) and their support of BORP. And homage of the highest order to Joe Carrow and Robert Book for their dedication to getting every athlete in the best equipment possible (and keeping them all running)! 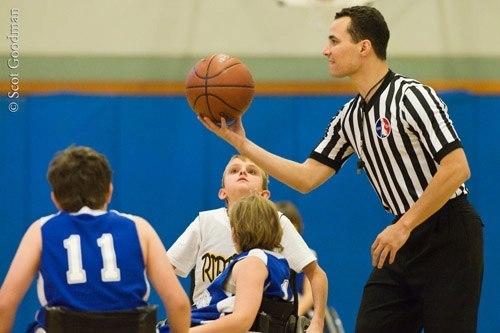 BORP hosted an amazing Junior Division Wheelchair Basketball tournament in Berkeley on January 12 -13. The tournament started off with a fantastic reception for all the teams: Team Saint Lukes from Spokane, Washington; BORP’s Varsity and Varsity B-teams, the Utah Wrec ‘N’ Crew, the Portland Blazers, San Diego Prep, and BORP’s Prep team. District Attorney Nancy O’Malley and her husband John outdid themselves again and were incredible hosts for the event. The teams enjoyed a terrific spread and were fueled-up and ready for the games to start. Saturday started off with a bang. Our announcers for the weekend made sure to give every athlete their moment in the spotlight, and brought a level of excitement and color to every moment of every game. Many thanks go out to Steve Harwood, Bill Cosden, and Scott Butler for making each moment on the court larger than life. As the BORP Varsity team opened the tournament, there was a little nervous excitement in the air and BORP and Spokane both had trouble getting on the board. Eventually the team calmed down and was able to pull away posting a 44-34 victory. Chris Rodriguez led the team in scoring with 16 points followed by Koda Inman-Ahlstrom and James Bohnett with ten points each, and William Luong adding 8 more. Christie Levine, Cortney Outman, and Zach Penick continued to be amazing role players, setting picks and doing all the dirty work to allow their teammates to score. The Prep team had their first game of the season against San Diego. San Diego has a super strong Prep squad, with most of their kids playing in their third or fourth year. BORP’s Prep team is new with Garnet Silver-Hall, Amit, and Jesus plying in their first competitive basketball games. Avery, Dallas, and Ernesto Cappuccio became the veterans overnight and the kids played their hearts out. It was clear that our kids were a little outmatched through the weekend, and lost all three games to San Diego. There were some great moments during the Prep games and as these kids get more experience they will become stronger and stronger over the next couple of years. Dallas made a couple of baskets for the team and Amit was able to start learning his new role as a point guard, and added a couple of baskets of his own. The future looks much brighter for the Prep squad, and Richie, Sam, and Coach Laura will get them rolling. Utah was next on the list for the Varsity squad. This is quickly becoming a heated rivalry between the teams, with BORP beating Utah in Salt Lake City, and then losing (badly) to them in Phoenix. This was going to be the first of two games between the teams over the weekend and set the tone for the Conference Championship Tournament that will be held in March. James Bohnett led the team in scoring, with 29 points, including 19 in the second half. Koda added 19 points and Chris and William pitched in four and three points to add to the total and give the team a 55-40 win. This was a HUGE victory and helped secure a top 15 ranking. Once again, our role players (Cortney, Christie, and Zach) continued to grind the other team down and continue to be the key to the team’s success. This year introduced a new Varsity “B” team. This is an extension of the varsity team but allows BORP to focus playing time on the athletes that cannot travel for one reason or another and dedicate more playing time to some of the role players and younger kids. It also lets the older players teach the newer kids their roles. With Koda running the floor, it gave us an opportunity to see Amit play against older kids and help build confidence and gain experience. Bradley Benz got to learn his role from Cortney and Christie, and Daniel Diana and Matthew Hatae got a chance to perform the things they have been working on in practice. This also gave us a chance to have Sean Kelker come in and play in a real, competitive youth game and get a feel for the sport. BORP pulled out a 19-13 victory against a new team from Portland, and it was awesome seeing so many new kids getting on the court. It also really showed how much the Varsity team has improved over the past couple of years because they were in that very position of being the “new kids” not too long ago. Day one finished with a bang. The party for the kids at the hotel, which included a DJ and what must of seemed like half a cow was described as simply “off the hook” and for most of the kids something that was talked about all day Sunday. Thanks to Na’ama and Jennifer for setting that up, and thanks to Michael an Sylvia for the food. The kids loved it. Day two did not start off well for BORP. The varsity “B” team was spanked by Portland in a game that simply had no flow to it. Every shot that went up could not find it’s way into the basket, and it seemed like every time Portland shot the ball it found a way to go in. Portland handed the team a 33-18 beating that was in all honesty not even as close as the score looked. The final game of the day and the tournament was a rematch between BORP’s Varsity team and the Utah Wreck ‘N’ Crew. Utah started off scoring on their first possession off the tip. 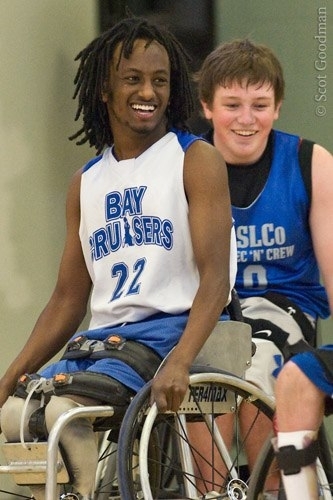 After the Bay Cruisers tied it up they were able to take a lead and never looked back. Neither team wanted to give an inch, and both squads pressed for almost the entire game. Zach was assigned the big guy from Utah, Marcus Brockman. “Big” it is probably a slight understatement. He is 6’10 and if he gets anywhere near the basket he is deadly. Zach did an amazing job making the big guy work at both ends of the court tiring him out as much as possible and it threw the Utah team off their rhythm. Koda, William, and James pressured the guard line-up, and Chris picked up anyone that came through. BORP was able to get a few turnovers and frustrate Utah, and started to slowly build a lead. With only a few minutes left in the game, Utah made their run, pulling within four points. 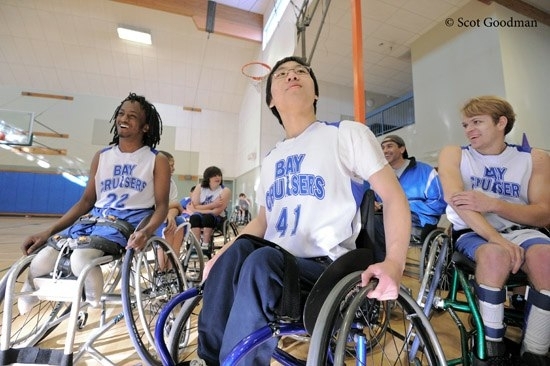 James took control again with a two quick steals and conversions to get BORP back on track, and eventually the Bay Cruisers pulled away for a 58-49 victory. This was a true team victory. James led the team in scoring, but everyone contributed in some way. “This game was one of the most exciting games I have ever been a part of” said Coach Johnson. This victory was big. It gave BORP a 3-1 record against Utah on the season and puts BORP in a position for a bid for the National Championship Tournament in KY with a 9-2 record overall. This is something the varsity team has worked on for years and has not been able to reach. Congratulations to all the kids that participated in the event. You all were amazing! 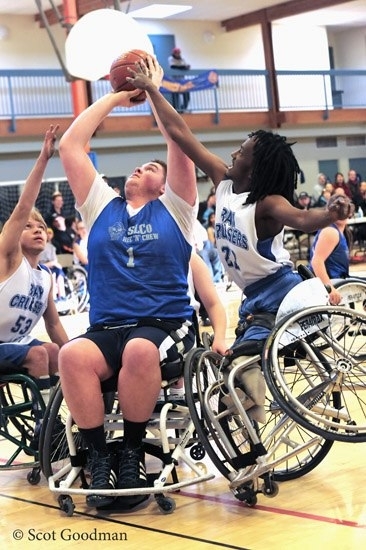 See highlights from the BORP Bay Cruiser’s victory over Utah on BORP’s Vimeo page! 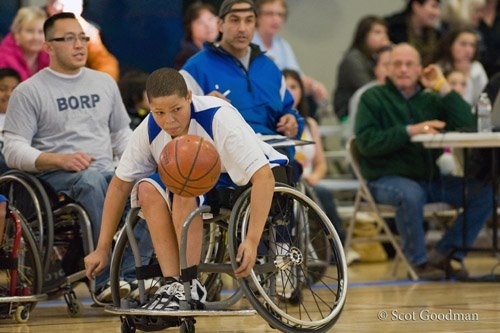 BORP’s varsity and prep wheelchair basketball teams are hosting a tournament in Berkeley this weekend. Saturday is at James Kenney Rec Center and Sunday is at the Berkeley Young Adult Project (BYAP). They will be playing teams from Salt Lake City, Portland, Spokane and San Diego. If you can get out to cheer for them I know it would be appreciated and you’ll get to see some great hoops (and its free). 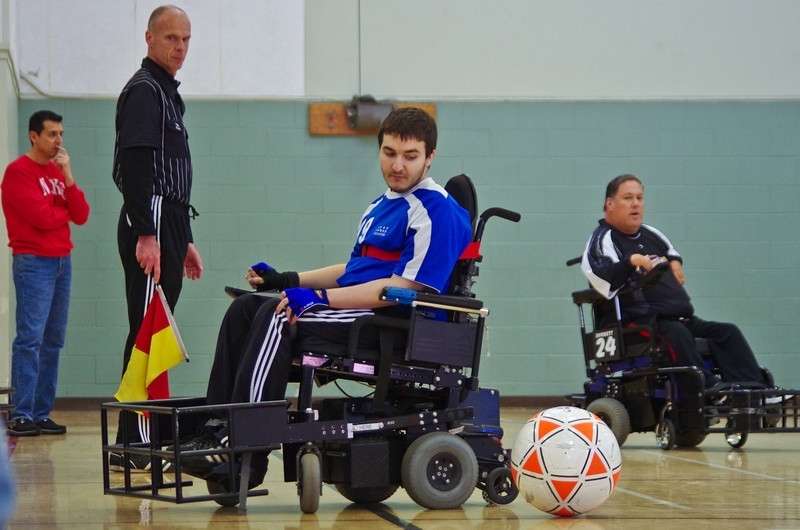 The BORP Bay Earthquakes will host the SoCal Vaqueros and Hollister Free Wheelers at James Kenney Recreation Center, 1720 8th Str. Berkeley from 10:00 am to 4:00 pm on January 26, 2013. All 3 teams are top performers at the national level and competition is sure to be intense. Spectators are welcome. A flier for the tournament is attached.